Which Factors May Negatively Impact Revenue and Earnings Growth in Q4? As of today, the third quarter earnings season is nearly finished. 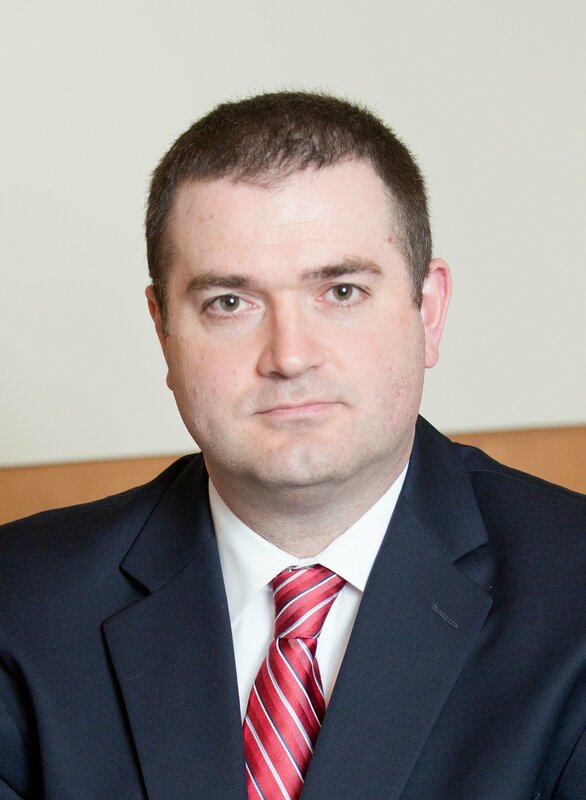 During each corporate earnings season, it is not unusual for companies to comment on subjects that had an impact on their earnings and revenues in a given quarter or may have an impact on earnings and revenues in future quarters. Given the many concerns in the market, did companies in the Dow 30 discuss specific factors that had a negative impact on earnings or revenues for the third quarter or are expected to have a negative impact in future quarters during their earnings conference calls? 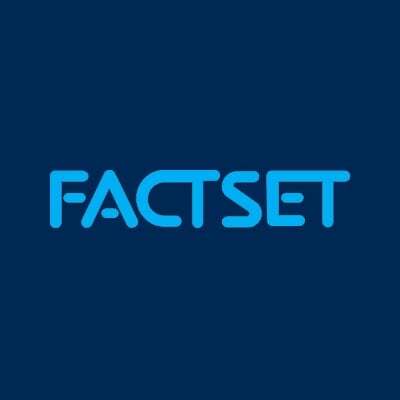 To answer this question, FactSet searched for specific terms related to a number of factors (i.e. “currency,” “China,” etc.) in the conference call transcripts of the 30 DJIA companies that conducted third quarter earnings conference calls to see how many companies discussed these factors. 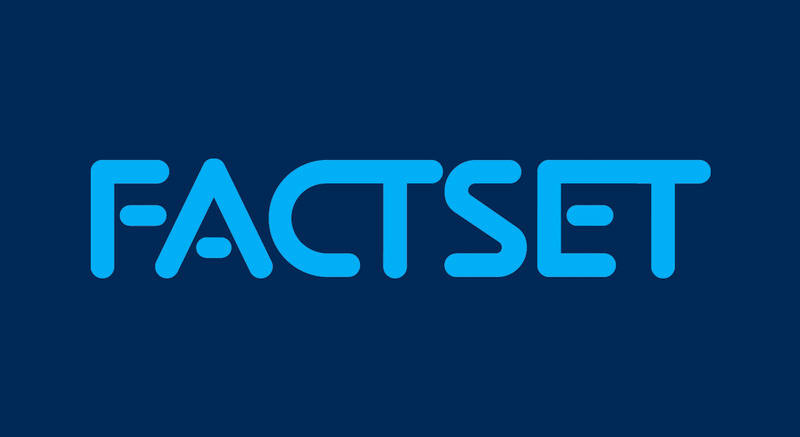 FactSet then looked to see if the company cited a negative impact, expressed a negative sentiment (i.e. “volatility,” “uncertainty,” “pressure,” “headwind,” etc. ), or discussed clear underperformance in relation to the factor for either the quarter just reported or in guidance for future quarters. 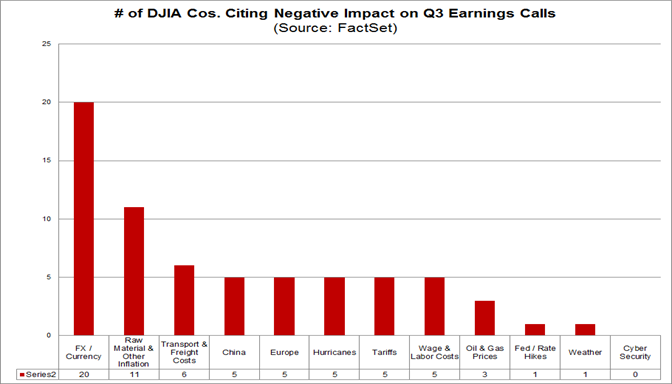 Foreign exchange was cited by the largest number of DJIA companies as a factor that either had a negative impact on earnings or revenues in Q3 or is expected to have a negative impact on earnings and revenues in future quarters. Twenty of the 30 DJIA companies (67%) cited this factor. Most of these companies did not cite a specific currency that devalued relative to the U.S. dollar. Of the companies that did mention a specific currency, four companies cited the lira (Turkey) and the peso (Argentina) while three companies cited the real (Brazil) and the euro. Raw material and other inflation costs were cited by the second highest number of DJIA companies at 11 (or 37%). It is interesting to note that the term “tariff” was mentioned during the earnings calls of 10 DJIA companies, with five of these 10 companies citing a negative impact linked to tariffs. However, even these five companies stated they were able to mitigate or would be able to mitigate some (if not all) of the negative impacts of the tariffs.